Want to be a part of Oddmall? 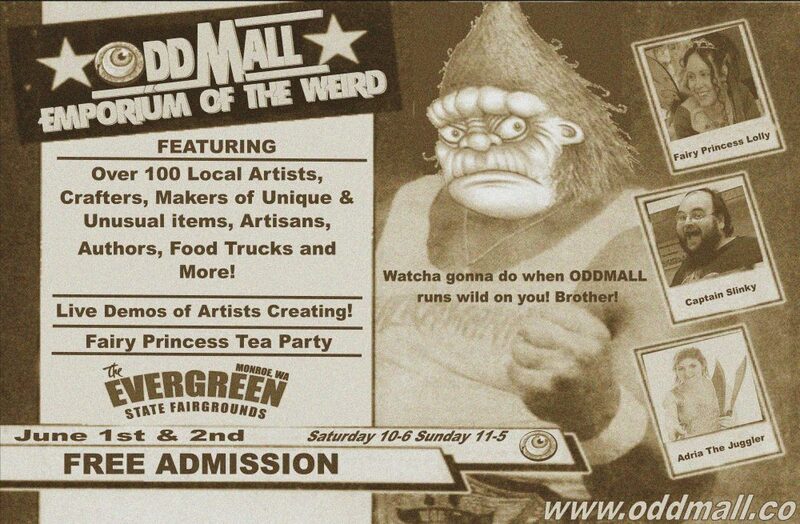 Just a few minutes ago, Oddmall’s vendor booths SOLD OUT! However, just when I was about to post this, I received an email from a vendor who is unfortunately under the weather and will not be able to participate. If you are interested in being a part of the Emporium of the Weird, sign up asap by clicking registration above. 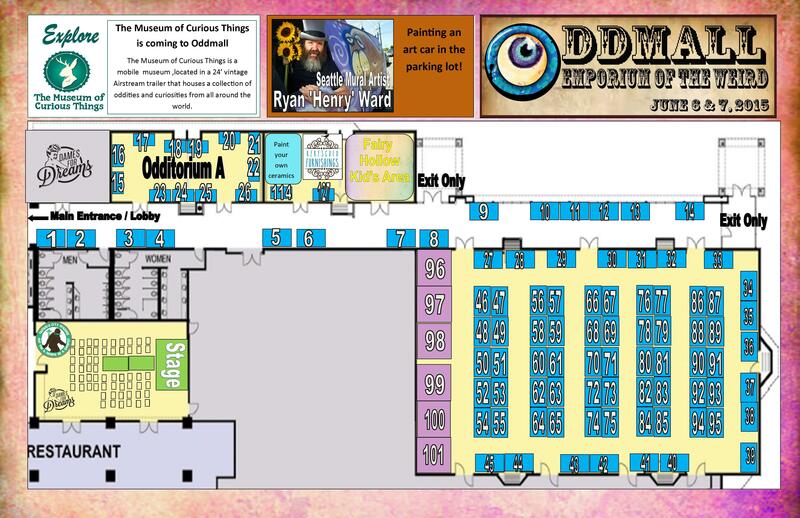 The available booth is booth 39, it is against the wall in the corner of the main room. ( I am sorry, I can not move other vendors into this spot, as programs and maps have already been printed.